Carnegie Institution for Science, April 24, 2019. American Geophysical Union, April 22, 2019. The main point seems to be that their own, “pact,” goals are not even possible or attainable under their own pact’s framework, that their worthless pact is in fact, worthless. The Foundation of What Cannot be Sustained. Image by Carol Highsmith. Notice a trend here? 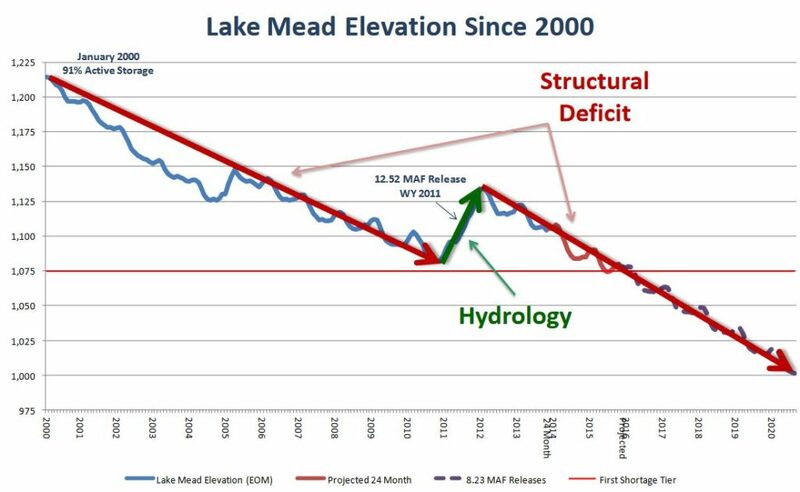 Death of a River, Central Arizona Water Conservation District, by Tom McCann, Big Chart. The twin satellites GRACE revealing the Earth's gravitational field. GFZ GeoForschungsZentrum Potsdam, Helmholtz Centre, April 16, 2019. The transitions between seasons, their basic character, their timing, temp, and humidity transitions have all changed. The directions from which the seasonal winds blow have changed. These changes are reverberating through and disrupting webs of life that wrap around the whole planet. Blooming, feeding, mating, and migration patterns of all living things are changing around the world. Here we track the obvious and the subtle human affects on Nature. The club and the knife, if you will. IOP Publishing, April 16, 2019. NASA Earth Observatory animation by Lauren Dauphin, using MODIS data from NASA EOSDIS/LANCE and GIBS/Worldview. NASA Earth Observatory, April 9, 2019. ETH Zurich, April 10, 2019. "Without the climate change that can be explained by human activity, we wouldn't have such a large area being simultaneously affected by heat as we did in 2018." Darker red colors depict areas that were hotter than March's average temps between 2000-2012; blues were colder than average. Note the widspread deep darkness. NASA Earth Observatory images by Lauren Dauphin. Big. 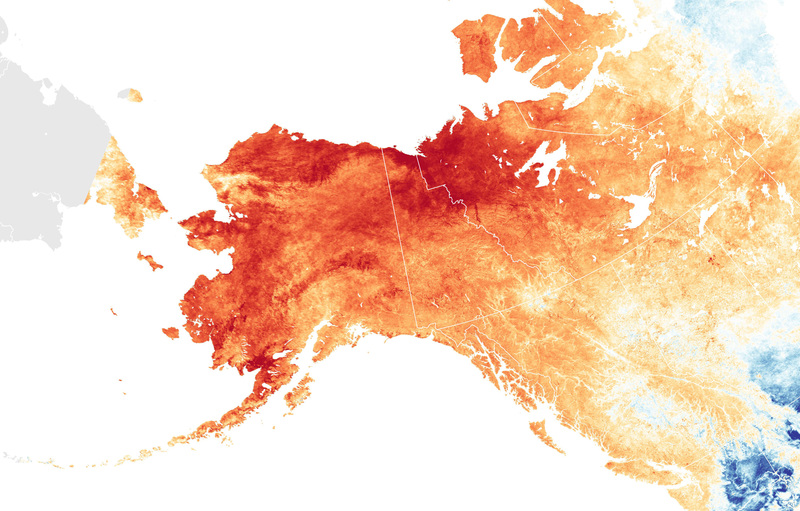 “The average temperature for March 2019 set records at 10 of 19 ground-based weather stations in Alaska." Potsdam Institute for Climate Impact Research (PIK), April 3, 2019. "It seems we're now pushing our home planet beyond any climatic conditions experienced during the entire current geological period, the Quaternary." Restoration opportunity map across 43 tropical and sub-tropical countries. Data source: Minnemeyer, S., et al. Bonn Challenge: A World of Opportunity (World Resource Institute, 2011). Big Map. University College London, April 2, 2019. University of Wyoming, March 27, 2019. McMurdo Dry Valleys in Antarctica. Fantastic photo credit: McMurdo Dry Valleys LTER, full-sized. Virginia Tech, March 20, 2019. "...international collaborative team that analyzed biodiversity patterns in the McMurdo Dry Valleys of Antarctica." "...understanding of the whole (Dry Valleys) community, from bacteria to multicellular invertebrates." "...analyzing the physical and geochemical drivers that predict biodiversity patterns." Average urban dweller is going to have to drive more than 500 miles to the south to find a climate similar to their home city by 2080. Credit to Matthew Fitzpatrick/University of Maryland Center for Environmental Science. University of Maryland Center for Environmental Science, February 12, 2019.